Kaderade: In Your Face: FIVE DAY FALL Friends-to-Lovers SALE! FIVE DAY FALL Friends-to-Lovers SALE! I have a HUGE sale for you on my Friends-To-Lovers (and reunion) M/M romances. 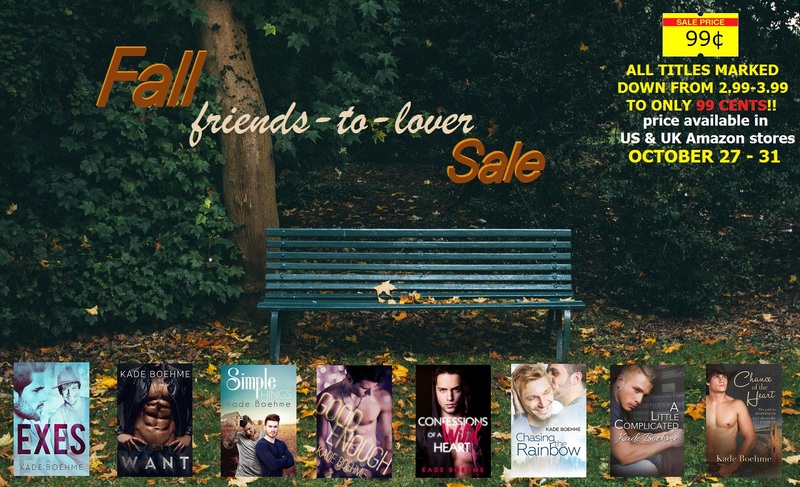 In honor of fall, I'm doing a Five Day Fall Friends-to-Lovers sale on 8 of my best selling (some award-winning) BOOKS! Sale includes my newest novella Exes.